Montes Cherub Rose of Syrah 2009 – After several years of experimentation, Aurelio Montes settled on producing a rosé from Syrah, a grape he made famous in Chile with the country’s first-ever Ultra Premium 100% Syrah called Montes’ Folly in 2002. Located only 11 miles from the Pacific Ocean, the cool breezes from the western facing slopes, together with the loamy soils, result in a slow maturation of the grapes which allowed for the perfect balance of citrusy acidity and bursting, ripe fruit. The Syrah grapes were hand-picked and sorted to ensure that only the finest grapes were used to make Cherub. The grapes were gently crushed, then transported by gravity to the tanks below in the winery where they then underwent “Vin d’une Nuit”. This is a process of cold maceration where the must (grape juice before fermentation) is left in contact with the skins overnight (for approximately eight hours) to fully extract color and aromas and infuse the wine with flavor. Once the juice was racked until totally clear, it underwent alcoholic fermentation using selected yeast at 50º F for 20 days. To maintain the freshness of the wine, it did not undergo oak aging. 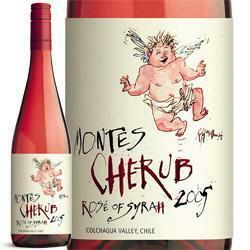 Montes’ Cherub is a seductive, elegant, dry wine, with an intense cherry-pink color. It is a well-made expression of the grape variety and terroir. On the nose and the palate, it demonstrates a distinctive Syrah character with spiciness and hints of strawberries, rose and orange peel. With good fruit concentration, it shows richness in texture across the palate that leads to a delightfully long finish. It has a strong backbone of acidity and a slight amount of tannin that gives the wine a defined structure. Recipe Pairing; Pesto Pork Pinwheels – Serves: 4; ¼ pound servings each – Pork tenderloin comes packaged two ways-either as a whole piece of pork or split in two pieces. For this recipe we use one piece of pork tenderloin that weighs one pound. If your one pound package comes split in two pieces, make two smaller pork rolls and reduce the cooking time to about 25 minutes. 1 tablespoon commercial pesto or homemade pesto. Butterfly tenderloin by cutting lengthwise almost in half. Cover meat with plastic wrap. Use a meat mallet to pound meat to a ¼-inch thickness. Spread pesto over cut surface of tenderloin. Roll up tenderloin from on of the short ends and tie with string in several places to secure. Place tenderloin on a rack in a shallow roasting pan. Roast, uncovered, 35 to 40 minutes or until the meat thermometer registers 160 degrees F.
Check out the radio show on The Ranch 107.1FM or 97.9FM in The Bitterroot Valley. How about a live stream feed at www.107theranch.com. The WineGuyMike™ Radio Show© airs weekly on Wednesday mornings at 8:20AM MDT, come and join in on the fun you never know what we are going to talk about. Each week we will be giving away gift certificates from our sponsors. If your question is selected as WineGuyMike’s™ topic of discussion you will win one of the $20.00 gift certificates. Good luck and send your questions to WineGuyMike™ on his Facebook fan page. Today’s winning questions from the WineGuyMike™ fan page are from Joely Hiniker and Tootie Welker. Noble Rot or Late Harvest Riesling Wine for fruit tarts and creme brulee. Okay Joely this should give you a lot to choose from paired with general dessert ideas, and what time did you say the party started? Q. Tootie asks WineGuyMike™; What is the best wine to serve with tofu stir fry’s? Typically include onions, garlic, ginger, eggplant with a red curry sauce. A. Alright this is where the WineGuyMike™ Wine & Dine application comes in. Click on this link and it will take you to The WineGuyMike™ wine and food pairing application. Your recommended wines are Gewurztraminer (Spicy White Wine from France, Germany, and California) and Sauvignon Blanc for this dish. Montes Cherub Rose´ of Syrah 2009 – After several years of experimentation, Aurelio Montes settled on producing a rosé from Syrah, a grape he made famous in Chile with the country’s first-ever Ultra Premium 100% Syrah called Montes’ Folly in 2002. Astringent – This refers to a drying sensation in the mouth that may make you pucker. It is common in young full bodied red wines such as a Cabernet or a Zinfandel. This is caused by high tannin content in the wine. Tannin is a tactile sensation, not a taste. Oaky – A reference to a nuance in a wine resulting from wooden oak barrels that wines are aged in. This term is common to Chardonnay’s and Cabernet wines. Velvety – This term characterizes a wines texture. This term would be used with a wine that has a rich and supple mouth feel. 2009 Castle Rock California Cuvee Pinot Noir – Castle Rock Pinot Noir is produced from grapes grown in a carefully selected group of California vineyards, at which the climate and soil conditions provide excellent growing conditions for this Burgundian varietal. The wine is elegant and medium-bodied, offering aromas of cherry, tea and herbal spice. On the palate it is smooth with a silky texture and mild tannins, giving flavors of black cherry, plum and spice, and finishing long and harmoniously. This versatile food wine pairs well with lamb, veal, salmon and light pasta dishes. 1. Combine the first 3 ingredients in a shallow dish, and stir with a whisk. Add fish, turning to coat, and marinate in refrigerator for 10 minutes. Remove fish from dish, reserving marinade. 2. Heat a medium nonstick skillet coated with cooking spray over medium-high heat. Add fish, skin sides down; cook 5 minutes. Turn fish over; pour reserved marinade over fish. Cook and additional 5 minutes or until fish flakes easily when tested with a fork. Place fish on individual serving plates; spoon pan juices over fish. Sprinkle with salt; top with mint leaves. Yield 2 servings. The WineGuyMike Radio Show airs weekly on Wednesday mornings at 8:20AM MDT, come and join in on the fun you never know what we are going to talk about. Today’s WineGuyMike recommendations at Grizzly Liquor; Castle Rock Pinot Noir which sells for $9.95, 14 Hands white wine blend and the 14 Hands red wine blend, both sell for $ 9.70 and are terrific sipping wines. Today’s winning question on the WineGuyMike Facebook fan page is from Missoula Winery owner Phil Leiritz. A. Okay Phil here we go, let’s start by pointing out that a refrigerators temperature is 35°F or 2°C . Ideal storage temperature for all wines is 55°F or13°C. These aforementioned temperatures provide good perspective for suggested serving temperatures. Depending on how your wines have been stored will dictate what you need to do to prepare your wines before serving them. White wine – simple white wines that are generally inexpensive should be served very cold at 45°F or 7°C. Fruity light white wine should be served at 45°F-50°F or 7°C-10°C, these would be your Pinot Grigio’s, Sauvignon Blanc, lighter Australian whites, and French whites from Alsace, Bordeaux, and The Loire Valley. Your full bodied white wines are best served at 50°F-60°F or 10°C-15.5°C. These would be your California and Australian Chardonnay’s, White Burgundy wines, Full bodied German wines like Auslese and Spatlese, and your really nice dessert wine like Late Harvest Rieslings and Sauterens. Red wine – Light bodied and fruity red wines should be served at 50°F-60°F or 10°C-15.5°C. These wines would be young Spanish Rioja’s, Chinon and Bourgueil from The Loire Valley in France, and Italian Dolcetto, young Valpolicella and Chianti. Big full bodied red wines should be served at 60°F-65°F or 15.5°C-18.5°C. These wines types would be French Bordeaux’s, Burgundy’s, reds from the Rhone Valley, California Cabernet Sauvignon’s and Merlot’s, Australian Shiraz or Syrah’s, Oregon Pinot Noir’s, Zinfandel’s, Italian Brunello’s and Barolo’s. Champagne and Sparkling Wines – Sparkling wines, Prosecco and Cava should be served at 41°F and Champagne should be served at 45°F or 5°C-7°C respectively. Ice Wines – These should be served at 43°F or 6°C. Port – Both Tawny and Vintage Ports should be served at 57°F or 14°C. Today’s WineGuyMike recommendations at Grizzly Liquor; Georges duBoeuf Beaujolais – Villages which sells for $8.55. It has scored 87 points and is great for picnics and bbq’s. 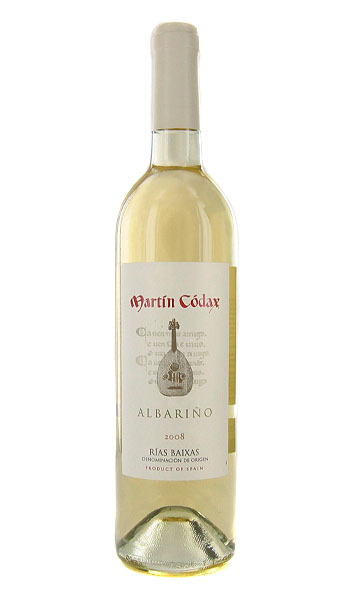 My second recommendation is Martin Codax Albarino which sells for $12.70. It is very crisp and wonderful with salads and seafood. It also scored 87 points. Beaujolais-Villages takes its name from a number of wine-producing villages located in the area of Beaujolais which have long been identified for the superior quality of their wine. In this instance “superior” refers to greater complexity in bouquet, higher concentration and deeper flavor. Its distinctive character sets a kind of middle ground for Beaujolais with its unique, casual charm and the prestigious top ten Cru wines to the north. If one could compare a glass of joyful Beaujolais to Mozart’s Cherubino, then Beaujolais-Villages would be Figaro, more mature, worldly and self-assured. This is perhaps that ideal, multipurpose red wine we all look for. This Beaujolais-Villages displays a deep, luminous cherry color, red with bluish tints. The bouquet offers ripe red fruit character, suggesting strawberry and black currant, with a touch of cinnamon. Velvet-like in the mouth, with soft tannins, it is well-balanced and complete. A wine which lends itself to all occasions, from the apéritif to the cheese board. The Albarino grape is reputed to be a relative of German riesling and may have been brought to Spain by monks as far back as the 12th century. It is grown in the Rias Baixas region of Galicia, which is snuggled in between Portugal and the Basque country on the rugged and beautiful Atlantic shores. Martin Codax is a name given to this white wine by the group of small producers who have banded together to make wine in the Bodegas de Vilarino-Cambados. Winemaker’s notes: This wine has an attractive straw-greenish yellow color, with ripe lemon nuances. It’s bright and slightly sparkling and stands out for its special intensity and elegance. The bouquet is reminiscent of damp, dewy fresh herbs with a perfume of semi-ripe apples. There is a fine sparkling sensation on the palate, with a complexity of tastes denoting the freshness of vegetation in the valley and the essence of the varietal. A. Rebecca this is a really good question and I’m going to recommend a Beaujolais for you. 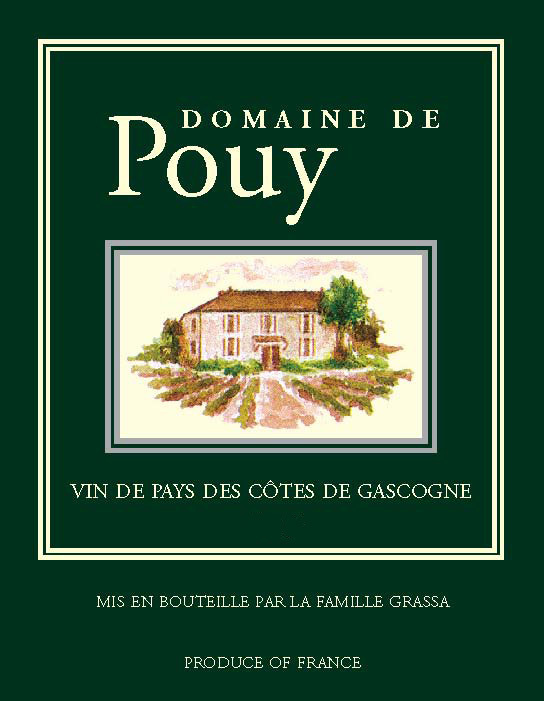 This wine style is made from 100% Gamay grapes from The Burgundy Region of France. The wine is light and fruity and meant to be consumed right away. Beaujolais can also be served lightly chilled which is great for the Summer time. There are three quality levels Beaujolais, Beaujolais – Villages which is a blend of wine from a multiple villages in Beaujolais, and then there is the Cru which is named for the village whom produces the finest wine of all the villages, of which there are ten Crus or villages, in Beaujolais. Beaujolais Nouveau is even lighter and frutier in style than regular Beaujolais. This wine goes from vine to shelf in a matter of weeks, don’t not save this wine but do drink it now. Beaujolais Nouveau is released each year on the 3rd Thursday of November. Beaujolais pairs well with cheese, veal, fish, or fowl. Food that is light fair, and not overly seasoned pairs well with Beaujolais. This has been a big week for WineGuyMike, the beverage and food pairing website was launched Monday morning. Here is the link to the new site; http://bit.ly/bCBo01 (click on link or copy and paste in your web browser) this will be moved to a new server in about a month but I will let you know when that happens. 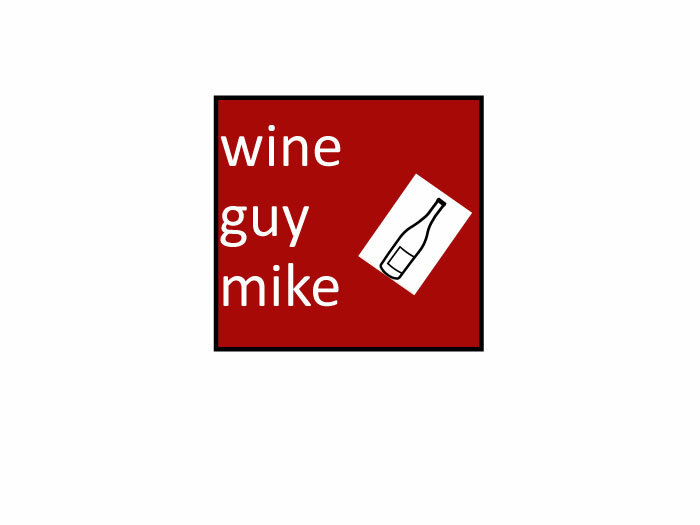 The WineGuyMike application pairs Wine and food recipes, Beer and food recipes, Spirits and mixed drink recipes, and a party planner for all of your beverages. Try out the Search feature to find what you are looking for quickly. I think you will find this application very useful. http://bit.ly/bCBo01 (click on link or copy and paste to your web browser). Todays WineGuyMike wine recommendation – Prosecco Rustico($20.00) and Tutella Prosecco($10.00). For the Cava’s I’m recommending the Segura Vivudas and the Cristalino (both about $10.00) at Grizzly Liquor. The best place to share and ask questions is on my WineGuyMike Facebook fan page or at www.wineguymike.com, this site is under construction and always will be because of the evolutionary nature of the site. Q. Katie asks; What’s the difference between prosecco and cava wines, and how should they be paired with food? I really like sparkling wines, but don’t know enough to make good choices. A. Prosecco is an Italian wine, generally a dry sparkling wine, usually made from grape variety Glera, which is also known as Prosecco. The Veneto region of Italy is where Glera/ Prosecco is grown and produced, traditionally in an area near Conegliano and Valdobbiadene, in the hills north of Treviso. In recent years Prosecco sales, world wide, have seen double-digit percent increases since 1998. This is due in large part to comparatively low prices and improved production techniques that have lead to the high-quality dry sparkling wines that are produced for todays market. Prosecco is mainly produced as a sparkling wine in either the fully sparkling (spumante) or lightly sparkling (frizzante, gentile) styles. Prosecco spumante, which has undergone a full secondary fermentation, is the more expensive style. The various sparkling wines may contain some Pinot Bianco or Pinot Grigio wine. Depending on their sweetness, Proseccos are labeled “brut”, “extra dry”, or “dry”, with the brut being the driest. Unlike Champagne, Prosecco does not ferment in the bottle consequently the wine goes off or gets old quickly and should be drunk as young as possible, preferably within one year. Prosecco is Italy’s answer to refreshing, well-made, sparkling wine that is low in alcohol, about 11 to 12 percent by volume. Created from predominately Prosecco grapes in the northern Veneto region of Italy in the foothills of the Alps. Prosecco is light, affordable, and fun. This Sparkling wine is aromatic and crisp, with nuances of yellow apple, citrus, pear, white peach, and apricot. Today’s Proseccos tend to be dry and very bubbly and typically will present itself as light, fresh, with an initial intense bouquet/aroma, but simple and straight forward compared to Champagne. Prosecco is made using the Charmat method rather than the Champagne method, the French method of making sparkling wine. The Charmat method is a second fermentation in pressurized tanks rather than in individual bottles. The shorter, tank fermentation is preferable for Prosecco because it preserves the freshness and the flavor of the grapes. Prosecco is now also being grown in Brazil, Romania, Argentina and Australia. Cava originated in the Catalonia region at the in the late 19th century. Originally the wine was known as Champaña until Spanish producers officially adopted the term “Cava” (cellar) in 1970. Cava wines are fermented and aged in the bottle in underground cellars. The early Cava industry was bolstered by the phylloxera epidemic of the late 19th Century that resulted in vineyards being uprooted and re-planted with red grape varieties. Mimicking the success of Champagne the Cava wine producers replanted with white grape varieties like Macabeo, Parellada and Xarel·lo to use for sparkling wine production. These are the primary grapes of Cava today although some producers are introducing the Champagne wine grapes of Chardonnay and Pinot Noir. Today 95% of Spain’s total Cava production is from Catalonia. Cava is produced in different styles ranging from dry to sweet; Brut Nature, Brut (extra dry), Seco (dry), Semiseco (medium) and Dulce (sweet). Under Spanish Denominación de Origen laws, Cava can be produced in six wine regions and must be made according to the Traditional Method with second fermentation in the bottle. The grapes used to produce Cava are Macabeo, Parellada, Xarel·lo, Chardonnay, Pinot noir, and Malvasia. The Chardonnay grape is a late comer to the scene despite being a traditional grape used to produce Champagne. It was not introduced in the production of Cava until the 1980s. In order for the wines to be called ‘Cava’, they must be made in the traditional Méthode Champenoise. Wines made via the low-cost Charmat process may only be called ‘Spanish sparkling wine’. A rosé style of Cava is also produced by adding in small amounts of red wines from Cabernet Sauvignon, Garnacha or Monastrell to the wine. Cava made by the Champagne method, is a very acceptable alternative to French champagne. Cava is usually made by the Coupage method, whereby must, a.k.a(grape juice) from different grape varieties is subjected to the first fermentation which is blended until it is consistent with the wine that the winemaker wants to produce . After the Coupage, the wine is put into bottles and yeast and sugar added. It is then cellared for the second fermentation and aging.